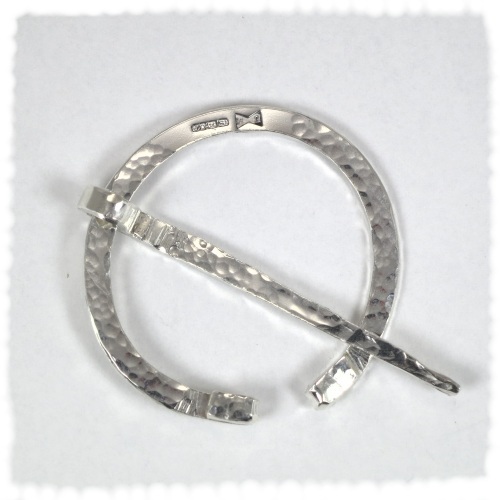 This design is also based on the same style of Roman brooch - for decoration or pinning a toga together. It is just under four cm in diameter and weighs 9 grams. 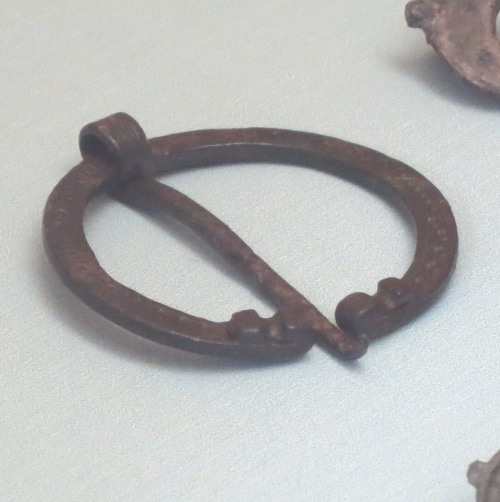 The pin goes through the material or the material goes above it then through the slot and then is slid round to secure the pin behind the brooch. It is based on an example I saw at the Roman Museum at Wroxeter, which is shown to the right. Sorry - this piece has been sold, but I will happily make one on request. Please contact me. The bronze coin is about 400AD and is securely, but nondestructively held by the mount. 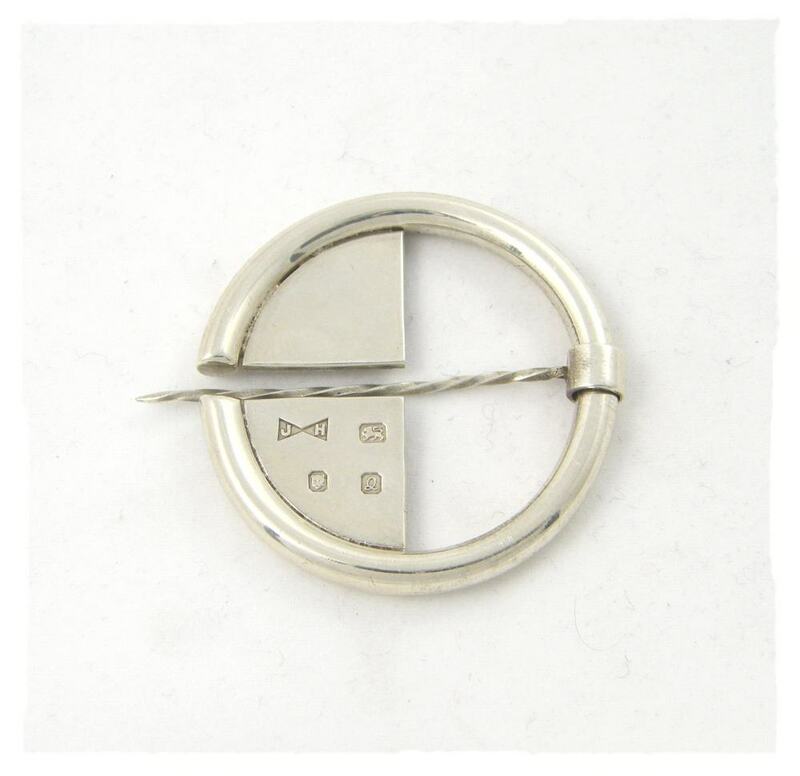 It is about 2 cm in diameter, with a silver chain. I have other similar mounted coins.